YouNow.com Acquires BlogTV for it’s users? YouNow, the fast-growing live social network, announced today that it has acquired blogTV, the veteran social streaming service, founded in 2006. YouNow will integrate blogTV’s four million users into the YouNow service. As part of this integration, blogTV.com will redirect its users to YouNow.com and operate under the YouNow brand starting March 27th. Existing blogTV users will have the opportunity to easily merge their accounts onto the YouNow service using their Facebook login and blogTV credentials. blogTV users will be able to sync important data from their blogTV accounts, including their usernames, broadcasts, social connections, registration date and status. All users from blogTV that merge their accounts with YouNow will be able to view their integrated blogTV information, including all recorded broadcasts, on their new YouNow profile page. The integration will also allow blogTV users to gain unique levels and rewards based on their blogTV site activity, seniority, number of subscribers, and PRO membership. To accommodate the blogTV users, YouNow has also created special new channels to allow all users to broadcast immediately, without waiting in a queue, as is the case with the classic YouNow channels. As part of the acquisition, YouNow will also integrate parts of blogTV’s award-winning technology onto its platform, including features loved by blogTV’s millions of users. BlogTV’s staff will remain with YouNow. Mr. Levy will stay on as a consultant to YouNow. YouNow is a live network that allows users to collaboratively broadcast live and interact with audiences in real time. The live network encourages users to participate in the broadcast experience, facilitating an entirely new entertainment format. YouNow enables users to expand their social influence, and is the only platform in the world that guarantees users an audience. blogTV is a leading live, interactive, internet broadcasting platform that enables anyone with a webcam or mobile phone to broadcast LIVE. Its viewers can watch LIVE shows and interact with the broadcaster — it’s 24/7, interesting, genuine, live content, created by real people! To learn more about the YouNow/blogTV acquisition, please email Candice Reeves at press@younow.com. Huawei, the Chinese telecoms equipment group, has unveiled what it claims is the world’s fastest smartphone and announced a 60% annual rise in shipments of its mobile devices. Headlining at the mobile phone industry’s annual gathering in Barcelona, which opened its doors a day after hundreds of thousands of demonstrators rallied across Spain in protest at national austerity, Huawei presented its latest device to run on Google’s Android software. The Ascend P2 connects to the web two or three times faster than other smartphones when using Wi-Fi, its maker claims, downloading high-definition films in minutes and videos, songs and eBooks in just seconds. In the Christmas quarter, Huawei overtook BlackBerry to become the world’s third largest smartphone maker. Although it is some way behind Samsung and Apple, its less expensive but high-performing handsets are attracting a growing following. It shipped a total of 127m consumer devices last year, of which 32m were smartphones alongside more basic “feature” phones, home broadband modems and dongles to connect laptops to mobile networks. The division generated $7.5bn of revenues in 2012, a 10% increase on the previous year. Overall income including sales of network equipment to telecoms companies totalled $35.4bn, bringing Huawei level for the first time with the market leader Ericsson. 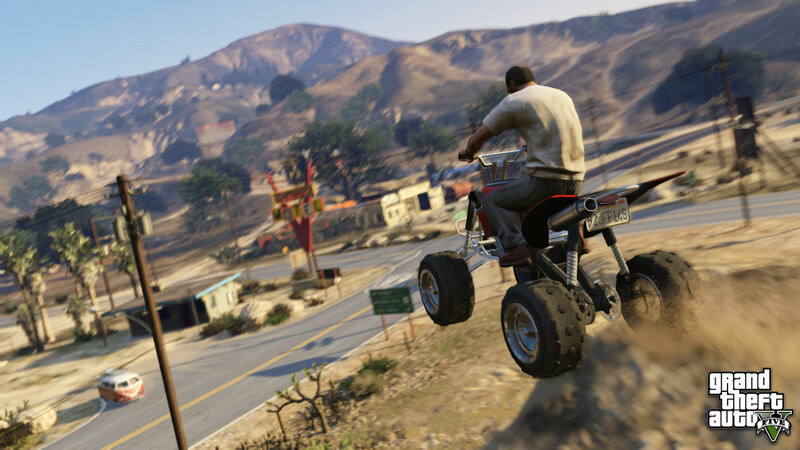 The latest Grand Theft Auto adventure was due in spring. Now virtual criminals will have to wait until 17 September. Rockstar Games has finally announced a release date for Grand Theft Auto V, the latest in the company’s hugely successful series of gangster adventures. The game will hit Xbox 360 and PlayStation 3 consoles on 17 September. Originally, the publisher had mentioned the possibility of a spring release. Set in the fictional city of Los Santos, a stylised version of Los Angeles, GTA V follows three lead characters as they carry out a series of increasingly audacious heists. The game is the most ambitious project in the long-running series, which has so far sold over 125 million units worldwide. The environment is larger than the previous two titles combined. Alongside the inevitable next installment in the Call of Duty franchise, GTA V is expected to be the biggest video game release of 2013; it is an important title for the industry which has seen retail sales falling over the last year. Titled “An Amaz-ing Resume” e don’t actually know if Philippe Dubost is any good at his job. But boy, can he throw together a resume. Dubost, a web product manager currently based in Paris, is looking to travel for his next position. So he decided to make his CV stand out anywhere in the world — by mimicking an Amazon product page. Dubost has taken pains to replicate every last aspect of an Amazon page — even inserting an ad. We’ve seen resumes that look like Facebook pages and Twitter feeds before, but none have this much attention to detail. And given the fact that hiring is a transaction, making it look like the world’s largest store makes a ton of sense. Would you hire an applicant based on a resume like this? Let us know in the comments, and check out our galleries of other unusual CV designs below. Mega, Kim Dotcom‘s big, flashy new copyright-dismantling file-sharing/storage site with encryption up the wazoo has finally launched. You can head on over and sign up right now. That is, so long as the site can hold under the crazy traffic. So far, it looks like it’s getting crushed. But different people are experiencing different things. Wow. I have never seen anything like this. From 0 to 10 Gigabit bandwidth utilization within 10 minutes. Gizmodo gave you an inside look at the service yesterday, but now you can get in there and start poking around yourself. Is this the new future of cloud storage? Or maybe the new future of private, encrypted piracy clubs? We’re now officially on our way to finding out. What’s your money on? And it looks like it’s only the beginning..
Later, Dotcom reported that sign-ups were coming at a rate of thousands per minute. The site opened up for early access yesterday, and now everyone can go to Mega to sign up and use the service, with a basic, free offering of 50GB of storage, plus three pricing tiers with additional storage and bandwidth capacity. This is being resold by partners of Mega, which include Instra, as well as EuroDNS and Digiweb.